Don’y assume everyone loves clams. 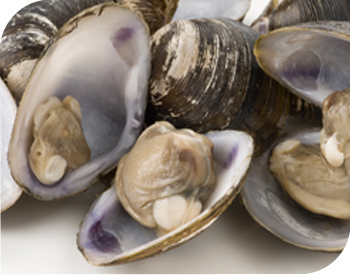 Many people love the idea of a clambake, but aren’t partial to clams. Offer other main course options so that everyone can partake in the fun. Items like steaks and grilled chicken can allow everyone to enjoy their dinner. Don’t forget about the kids. Just like some adults, there are many kids who would much prefer a hamburger or hot dog to a clam dinner. When you are setting up the arrangements with your Cleveland caterer, don’t forget to ask about an affordable, delicious option for the younger set. Don’t limit your seafood to just clams. There are so many other options than just clams. How about crab or lobster? Clambakes can take on a whole new, high-end twist when you offer these delectable foods. Don’t forget a vegetarian option. Everyone loves a good party, but it can be disappointing for those who don’t eat meat. If you know someone is a vegetarian, ask your caterer about offering a special plate just for them. Grilled Portobello mushrooms served with couscous or rice is an excellent main course. Don’t try to do it all yourself. While you can pull off a successful clambake on your own, if you get some help, you’ll have more energy to enjoy the party. A caterer can be a great help in this area. From simply providing the food for you to prepare to a full service, Akron caterers can help to make sure that your party goes off without a hitch. A little planning and forethought can help your next clambake to go off without a hitch. Use these tips and a great caterer to make sure that your next party is an amazing evening for everyone involved.